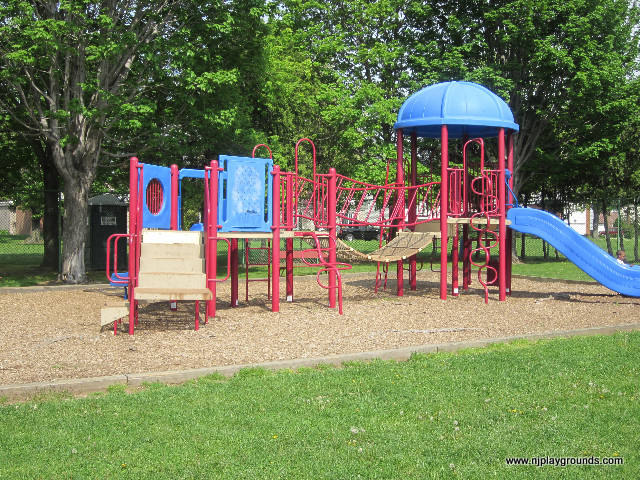 Thanks to Victoria from the very active North Jersey Moms Meetup Group for contributing this park as part of our roving reporter program with Imagine That!!! 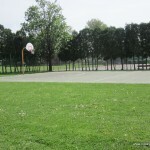 This park was recently in the news because the town is considering purchasing the park from the school that owns the land. See article for more details. 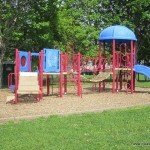 Latteri Park in Clifton NJ is a small neighborhood playground that is about 90% enclosed. Set back from the street so you do not have to worry about your kids. I like this playground also because it has grass and is enclosed. 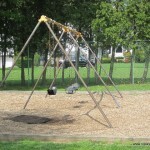 Many playgrounds with grass aren’t enclosed and if you have toddler and a crawler, grass & enclosed is hard to find. Slides: 2 slides a little bit off the ground. Other Cool Stuff: 90% enclosed, lots of grass playground itself has wood chips. Make a Day of It: Some nice family restaurants nearby such as Moe’s Southwest Grill where kids eat free on Tuesdays.